Tadaaahhh, As you can see, for Halloween this year I decided to go as Sherlock Holmes. Surprised with my choice? Hahaha it's simply because I'm not really into those scary or spooky ghost things. Totally looveee your look, Naz <3 Btw, when will you go back to Indonesia? love the look like I would wear this just because! it's amazing! Happy Halloween sherlock!! sooooo original look! love it! it's perfect!! I LOVE this!! such a great costume idea! Awesome!!! you look so awesome! I really like this costume. 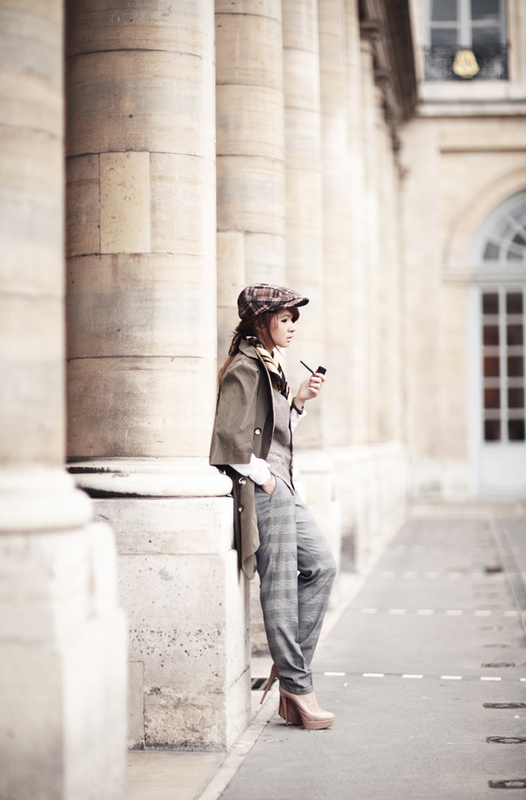 anyway, nice DIY with the coat (total inspiration) and the pipe. in london you can actually get the pipe and the hat in a sherlock holmes store but this outfit you put together has paid off i guess. to top it all off, amazing photographs! Love your costume! And these pictures are stunning! I absolutely love your Halloween costume! It's so chic and stylish, you've really done a good job at it. you look insanely cool! love the coat! The 4th photo is EPIC!!! Perfection! I love how you look exactly like Sherlock Holmes (well, the girl version anyway)... 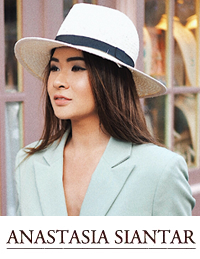 Totally obsessed over your adorable hat and scarf! i swear this' the coolest halloween costume ever! 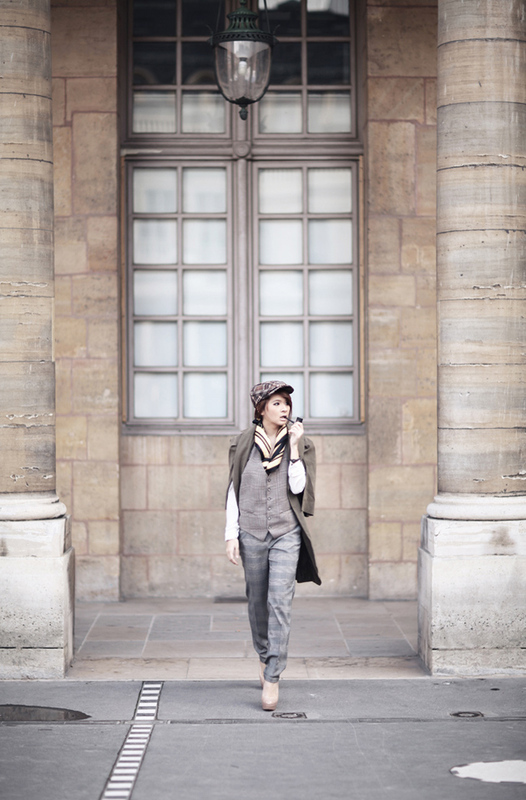 Evidence that you cannot only pull off girly girl outfits but boyish ones as well! OMG your costume is absolutely favorable!! Beautiful pics!! You look so chic as Sherlock! wowwww. what an idea! LOVE! well, 'isle of view; back!" Amazing look! I love androgyny so much. you reallt really really look like sherlock! You are so cool!! Love your outfit! This is amazing! I'm pretty impressed that you MADE the pipe and the coat! So creative, and it turned out perfect! very beauty but look cool! love your style the most !